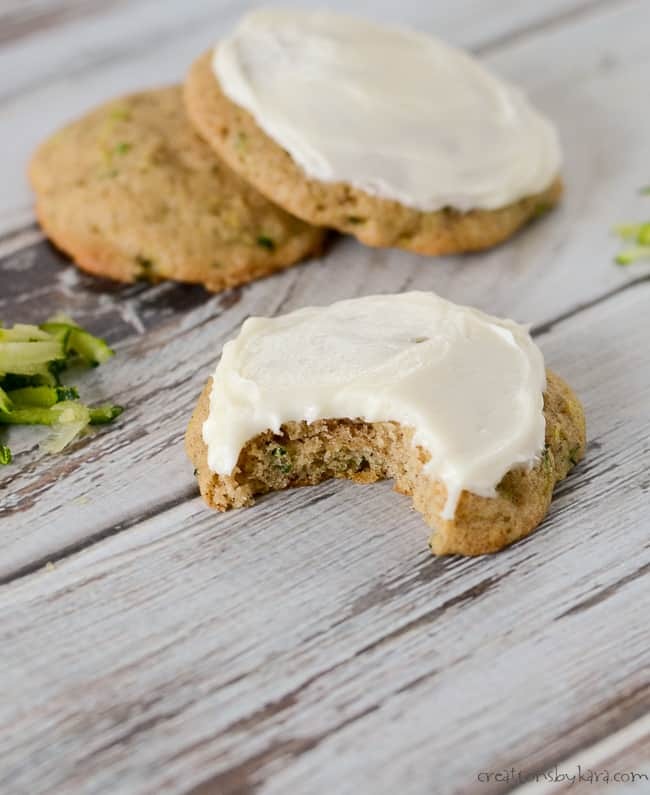 Zucchini Cookies with Cream Cheese Frosting . 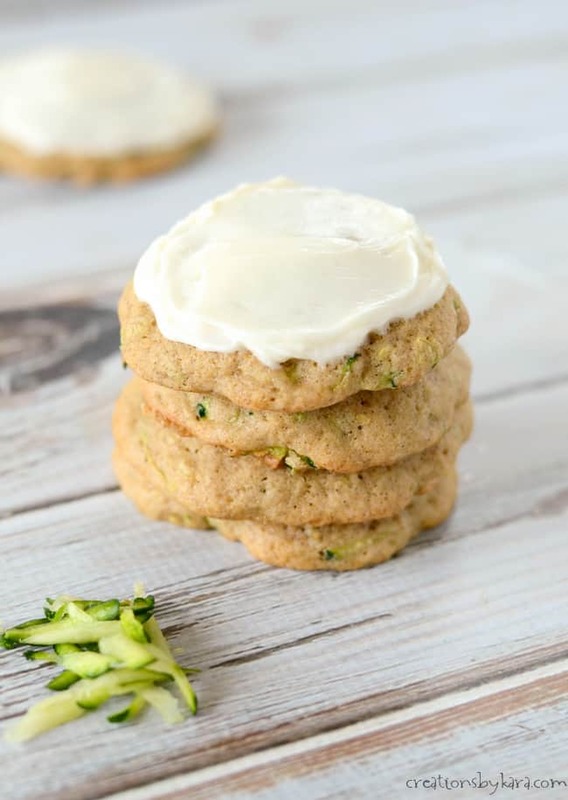 . . with a hint of cinnamon and a slathering of tangy frosting, these zucchini cookies are simple irresistible! It is zucchini season! 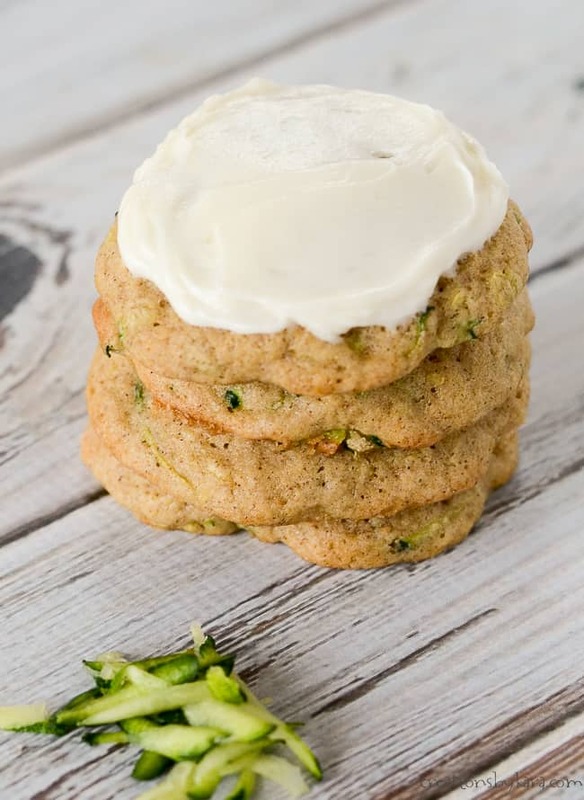 If you don’t have a garden, find someone to share zucchini with you, because you need to make these zucchini cookies! Lightly spiced with cinnamon and topped with cream cheese frosting, they are simply delightful. I am lucky that my parents give us plenty of garden fresh zucchini so I can whip up tasty recipes like this. Of course if you don’t have access to free zucchini, you can always buy it at the grocery store. 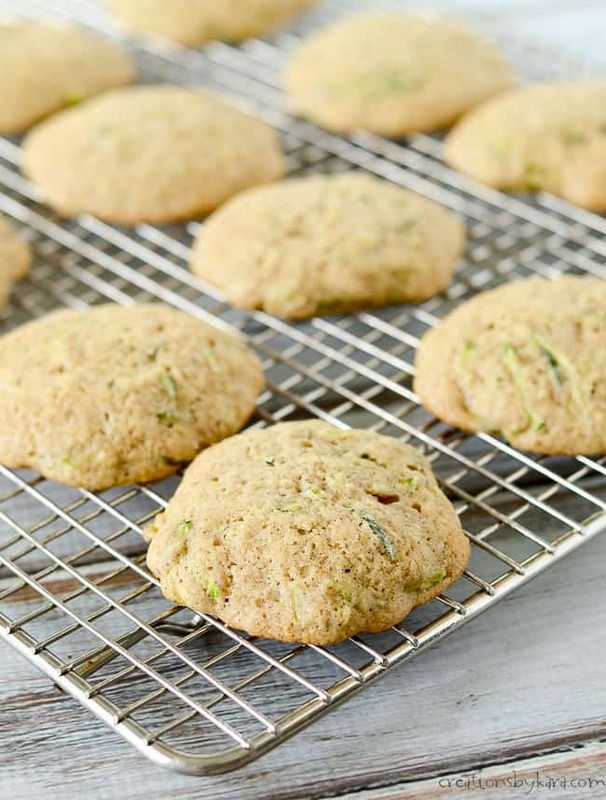 These soft zucchini cookies are simple to make. The dough starts out fairly stiff, but after you stir in the zucchini, you end up with a soft and creamy batter. -You don’t need to peel your zucchini, but if I’m using a large zucchini, I do remove the seeds. -I like to use a cookie scoop so that I get uniform sized cookies. 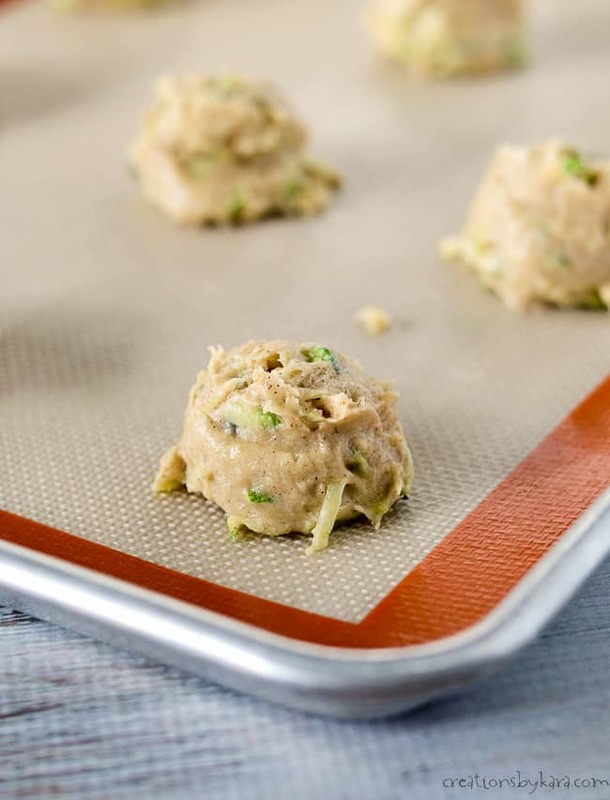 -The dough is pretty sticky, so I recommend using a silicone pan liner or parchment paper on your cookie sheet. -If you have any leftover cookies, store them in an airtight container with waxed paper between each layer. After baking, the cookies turn out nicely rounded and puffy. Aren’t those tops just begging to be frosted? 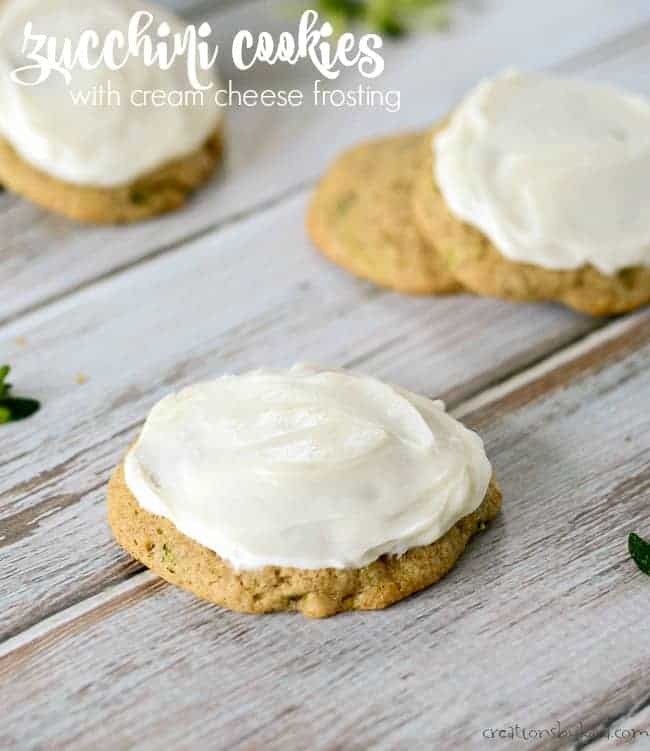 Soft zucchini cookies with a luscious cream cheese frosting. Cream butter and sugars in a large mixing bowl. Beat in egg and vanilla. Add the grated zucchini and stir till well combined. Drop by spoonfuls onto well greased or parchment lined cookie sheets. Bake at 375° for about 12 minutes or till bottoms are golden brown and tops are set. Cool on pan for a couple minutes. then remove to cooling racks. Cool completely, then frost. Beat cream cheese and butter till smooth and creamy. Add the powdered sugar and vanilla and beat till smooth. Frost cookies. 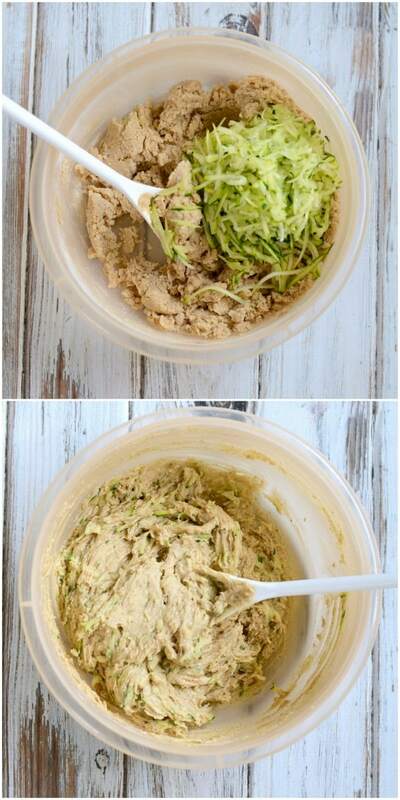 -Recipe originally shared at Lil’ Luna. To see all my zucchini recipes, click HERE. Approximately how many cookies does this recip make? Would you be able to substitute the all purpose flour with coconut flour? I have never tried coconut flour, so I have no idea. Hopefully one of my readers can help. I cannot print anything from your page it shows the page blank! 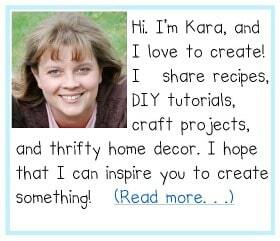 Did you try clicking on the print button within the recipe? I just tried it and it worked for me. Maybe it had a momentary glitch?